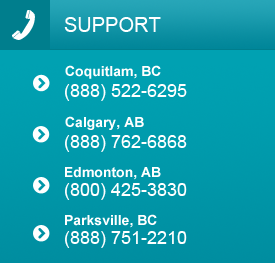 Enterprise Paper is 100% Canadian owned and operated. We maintain one of Western Canada’s most comprehensive paper, packaging and cleaning product inventories. We offer new and innovative packaging ideas, competitive pricing, knowledgeable sales representatives and support staff. Best of all, we offer friendly and reliable service which every customer should expect. We are a customer service oriented company; whose goal is providing all our customers with the tools to successfully run their business. Enterprise Paper’s goal is to enrich our customers’ experience through our customer service and continuous support. We aim to assist our valued customers by providing quality products, improved ordering systems and flexible delivery schedules that allow them to effectively and efficiently run their businesses. At Enterprise Paper, we have made a commitment to make decisions based on the best long-term interest of our valued customers. We continuously strive to find innovative systems to improve the way things are done on a day-to-day basis to ensure that our customers receive support and product satisfaction. Customer service is Enterprise Paper’s highest priority. Our strength is our people and our values. This is our greatest asset. We not only work to support our customers, we partner with them, as our company’s foundation was built on the loyalty and partnership between our customers and suppliers. Enterprise Paper maintains one of Western Canada’s most comprehensive paper, packaging and cleaning product inventories. With our extensive inventory of products, we are privileged to be able to service a vast range of businesses in segments such as the Accommodation, Cleaning Supplies, Food Packaging, Food Service, Grocery Management, Health Care, Industrial Packaging and Property Management industries. We have four branches available to best serve you. 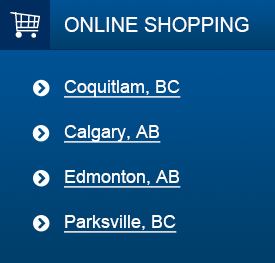 Our branches are located in Coquitlam, Parksville, Calgary and Edmonton. Our two locations in British Columbia successfully distribute products to regions including, but not limited to, Whistler, Vancouver, Burnaby, New Westminster, Coquitlam, Surrey, Langley, Abbotsford, Chilliwack, Richmond, Victoria, Nanaimo, Parksville, Kelowna, Penticton, Kamloops and Prince George. Our two locations in Alberta successfully distribute products to regions including, but not limited to, Calgary, Edmonton, Red Deer, Lethbridge, Medicine Hat, Spruce Grove and Camrose. © 2018 Enterprise Paper Co. Ltd.